We have worked alongside our member charities to get a comprehensive directory of the most frequently asked questions and have documented the answers for you. It is an inflammatory arthritis where the main symptom is back pain 30% of people in this group may not have any change visible on the MRI despite symptoms of back pain. In fact some of these patients may never show any inflammation on an MRI even if this is repeated later on in life. The reasons for this are still not well understood but may be due to how sensitive our methods to image the joints are. 70% of people with non-radiographic axial spondyloarthritis have visible inflammation in the sacroiliac joints and/or the spine when an MRI of the back is done. Inflammation is the body’s reaction to injury or irritation, and can cause redness, swelling and pain. It’s a painful, progressive form of inflammatory arthritis. It mainly affects the spine but can also affect other joints, tendons and ligaments. I have been told I have axial spondyloarthritis - what is this? Axial spondyloarthritis is still a relatively new term in rheumatology. Many people have simply been told that they have ankylosing spondylitis, rather than axial spondyloarthritis or non-radiographic axial spondyloarthritis. Whichever diagnosis you have been given, all the information on the NASS website will be relevant to you and your condition. Other areas such as the eyes and bowel can also sometimes be involved with axial spondyloarthritis. What happens with axial spondyloarthritis? Inflammation occurs at the site where ligaments or tendons attach to the bone. This is known as enthesis. The inflammation is followed by some wearing away of the bone at the site of the attachment. This is known as enthesopathy. As the inflammation reduces, healing takes place and new bone develops. Movement becomes restricted when bone replaces the elastic tissue of ligaments or tendons. The NASS website has full details about this condition including support and treatment. What support is there for people who struggle with arthritis? 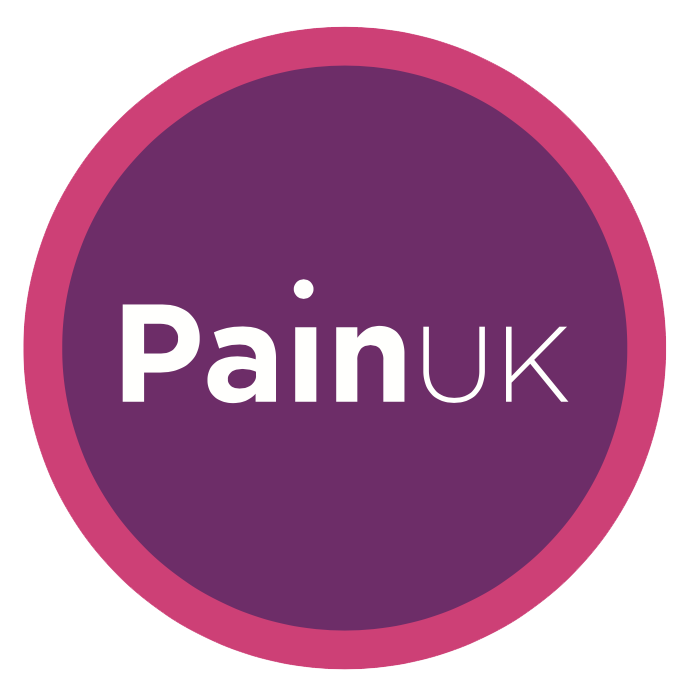 Pain UK has member charities that specifically deal with arthritis. What different drugs can I take for arthritis? We have a lot of information on different drugs, but unfortunately we can’t advise which drugs would be most suitable for you as an individual as we don’t have anyone medically qualified here. Arthritis Research UK provide a general drug and arthritis booklet which explains what type of medication is used to treat the different forms of arthritis, possible side-effects and so on. If you are concerned about any aspect of taking medication you should always speak to a health professional who will have your medical history. What type of aids and equipment will help me around the home? This is dependant on what type of arthritis you have. Arthritis Research UK have a booklet ‘Everyday living and arthritis’ which goes through the home room by room describing the different aids that are available which may help in your day to day tasks. If you would like to speak to someone who can tell you what aids are available, the Disabled Living Foundation (DLF) may be able to help. What can I do to ease the pain of arthritis? There are lots of different pain management techniques out there, and the guide ‘Living with long term pain: A guide to self-management’ goes through some of these. Your GP may also refer you onto a pain clinic if they think it will help. Better pain management for people with arthritis is one of our greatest priorities and we’re investigating a number of different research avenues. We recently opened centre of excellence for pain research, which we hope will soon lead to significant breakthroughs in terms of pain relief. There are other options to taking painkillers, these are complementary and alternative medicines and therapies which research indicates may help. Arthritis Research UK published two reports looking into complementary and alternative medicines and therapies which lists each one, gives a safety rating and score them out of five for effectiveness. Can I still do exercise with arthritis? Yes definitely, but obviously in moderation. We would never say to someone they should be running a marathon if they have a sore knee joint or knee osteoarthritis. Little and often is the key and the ‘Keep moving’ booklet can tell you what the most appropriate exercises can be. Individual booklets for some conditions will also have exercise sheets in the back to help. If you would like more specific exercises the best person to speak with would be a physiotherapist who could give you certain exercises to try at home. What diet will help my arthritis? The type of arthritis you have will depend on the type of self-management involved. We do not recommend a particular diet as all fruits and vegetable are essential to lead a healthy lifestyle, although in rheumatoid arthritis diets high in omega-3 fish oils may be helpful. Our ‘Diet and arthritis’ booklet goes into more detail about what type of food may be helpful and what things you should look out for. Is there a charity that deals specifically with back pain? Yes! BackCare has answers on many aspects of back pain. What are the causes of back pain and how can I help myself? TV’s Dr Hilary Jones has fronted a new series of videos for Pain UK, looking at different aspects of back pain. Dr Hilary is himself a past sufferer of low back pain. Here, in the first of the series, he discusses the causes of chronic low back pain and outlines some simple methods to deal with it. Other videos, looking at pain management techniques such as stretching, choice of mattress, warming up for work and maintaining good posture will be added to the website each week. Please come back to see the next one! Pain UK would like to thank Grünenthal for funding production of the videos. When should I seek medical help for back pain? You experience any other symptoms together with your back pain, such as weight loss, generally feeling unwell, a fever, altered sensation in your lower body, incontinence or muscular weakness in your lower body. Your pain is persistent or you experience increasingly more pain and discomfort. Your pain is too severe to manage. You have had a recent trauma or injury to your back. What should I do to prevent back pain from coming back? People who have had back pain in the past know how bad it can be. Psychology: negative thinking/emotions (e.g. regret, resentment and remorse) are associated pain that is more disabling and doesn’t resolve. Physical condition: we now understand that body fat is not simply a store for excess calories and muscle is not simply for moving about. Both of these have ‘endocrine’ functions, meaning they release hormones into the blood stream which affect the brain and every other organ in the body. Most people understand the importance of not being overweight, but most people don’t realise it’s also very important to have enough muscle mass. A safe and simple program of cardiovascular training and strength training will deliver enormous benefits – this is proven by research evidence, even in elderly people. Nutrition: it’s really important to educate yourself on nutrition and then apply it. This means taking in an appropriate number of calories from a healthy balance of macronutrients (proteins, carbohydrates and fats) from healthy, nutrient-dense, non-refined sources that offer sufficient micronutrients (vitamins and minerals). Environment: sitting still for long periods in an office chair or car seat is known to cause cumulative stresses that can result in back pain. If you’re serious about health, it’s important to assess your daily home and work environments to make sure you’re not setting yourself up for future problems. I was injured several years ago and have had back pain ever since – what should I do? My MRI scan says I have a slipped disc – should I have surgery? According to BackCare’s helpline volunteers, research evidence has made it clear that the signs of lumbar disc degeneration, including herniations (‘slipped disc’), as shown by MRI scan are common in people with and without back pain. This means that many people have a slipped disc without any pain, so the MRI scan does not prove the cause of your pain. In addition to this, surgery for chronic back pain has now been proven to offer no statistical benefit in the long term so the helpline volunteers do not recommend surgery in such cases. What is the difference between hypermobility and Hypermobility Syndromes? There is a big difference between hypermobility and Hypermobility Syndromes and it is important that health professionals recognise this significant difference. Being told you are hypermobile just means you are flexible, which is perfectly normal and shouldn’t cause you any additional problems. However, if you have the full Hypermobility Syndrome this means that you are hypermobile (flexible) and you experience other symptoms such as; chronic pain, acute pain (from injuries to your extra fragile tissues, such as sprains, strains, partial and full dislocations), fatigue, possible gastrointestinal difficulties, bowel and bladder problems, autonomic dysfunction etc. You may have some of these symptoms but it would be unusual to have every single one. There are also additional problems which may be connected as well. Read more about Hypermobility Syndromes. Hypermobility Syndromes is an umbrella term used for a collection of conditions that are often referred to as heritable connective tissue disorders. These are often genetic in nature. These different types of Hypermobility Syndromes may be known as Ehlers-Danlos Syndromes (all subtypes), Marfan syndrome, Stickler, Osteogenesis Imperfecta etc. Joint Hypermobility Syndrome is seen by some professionals as being the same as Ehlers-Danlos Syndrome hypermobility type. However, other professionals prefer to keep the two conditions separate so it depends on how your own diagnosing professional feels about this as to what diagnosis you may be given. It shouldn’t matter as management of both are the same. Where can I get help if I think I have a Hypermobility Syndrome which isn’t diagnosed? You first need to visit your GP to discuss your concerns about your own difficulties or that of your child’s. It would help to take a brief history and a list of symptoms you are experiencing. Not all GPs have heard of Hypermobility Syndromes, others mistakenly think that it just means you are flexible and forget that the real meaning of the term ‘Syndrome’ relates to a host of other symptoms that can be associated. Thankfully many more GPs are now aware of the impact that this condition, if left untreated and unmanaged, can have on an individual, their family and their ability to work. Your GP may want to conduct some tests first such as blood tests to rule out any inflammatory conditions or to check that you are not deficient in any vitamins or minerals. If a particular joint is causing you difficulty your GP may wish you to have an X-Ray to rule out any disease or injury. Some GPs are comfortable making a diagnosis of a Hypermobility Syndrome but others may wish to refer you to a local rheumatologist to see what their opinion is and to ask them to suggest any relevant treatment or to make additional referrals. Sometimes a GP may have concerns about which type of Hypermobility Syndrome you may have and wish to refer you to a geneticist. There is no need for most people with a Hypermobility Syndrome to see a geneticist as a rheumatologist could make that decision to refer on if needed. The other point about geneticists is that they can make a diagnosis but don’t have access to treatment. At times, GPs may decide to refer you straight to a physiotherapy service without seeking a relevant diagnosis. While physiotherapy is important as part of a treatment plan, it is important that either the GP or rheumatologist takes responsibility in looking at you holistically to make sure that you wouldn’t benefit from seeing other disciplines for gastrointestinal, bladder or autonomic issues etc. What if I want (or I want my child) to see a specialist in Hypermobility Syndromes? If you (or your child) have been seen by a local rheumatologist and you still feel that something is not being addressed or taken seriously, you can seek a referral to one of the very few specialist Hypermobility Syndrome clinics in the UK. You can also seek a referral if you have tried local services for treatment and management but your Hypermobility Syndrome is still having a significant impact on the quality of your day to day life. However, all clinics need a referral to access the specialist services. Some clinics will take a GP. referral and some need a consultant referral. You will need to check each clinic’s referral criteria. A quick way to check the status of clinics and the referral criteria is to check our website at http://hypermobility.org/help-advice/hms-clinics/. The HMSA promotes the specialist clinics and keeps them up to date at the request of the services. If you are expecting to see a certain clinic listed and it isn’t, this may be due to the service being temporarily closed to new referrals due to long waiting lists. Our web page also has the address of a private clinic in London which some people may choose to attend. It is usually best to seek a referral to the private clinic from your GP but sometimes the clinics will take telephone self-referrals depending on circumstances. Many people wish to see specific professionals who are recognised as specialists in the diagnosis, treatment and management of Hypermobility Syndromes. It is difficult for specialist clinics to guarantee you will see the professional of your choice due to high demand. However, most clinics have a policy where the most complex cases are seen by the most experienced specialist professionals while other patients will be seen by professionals trained in understanding the needs of patients but with a guaranteed access to support from specialists if warranted. The HMSA also has a database of professionals who have shown an interest in the Hypermobility Syndromes and who don’t mind receiving referrals to their clinics. No one believes how much pain I am in! Many people contacting the HMSA have had similar experiences as you. The problem is often down to ignorance among the professionals on the difference between hypermobility and Hypermobility Syndrome; many professionals just think that it means we are flexible and don’t get the fact that pain and fatigue and a whole host of other symptoms often come into play! The other problem is Hypermobility Syndromes are often seen as an ‘invisible illness … no-one can see what is causing your pain and symptoms that you tell them about. No blood tests come back with suggestions of what may be wrong, x-rays and MRI’s look fine, everything looks normal! To make matters worse, traditionally we believe the things we can see! So if there is no obvious cause then many professionals, family members and friends are confused and frustrated. You can print off the clinician’s guide and take it along with you to an appointment. Will I recover from my chronic bladder illness or will I get worse? It is impossible to predict the future. It has been our experience that once someone finds a device or medication which is successful in managing their symptoms, their quality of life consequently improves. What is the best medication for pain from cystitis/bladder problems? There are a range of products designed to help with the pain. They could be over the counter medications such as ibuprofen and paracetamol or more powerful analgesics such as Tramadol or Fentanyl. We suggest that you consult a medical practitioner or a pain clinic to receive advice on the type and dosage of pain relief you can receive. What is the best treatment option/medication for my interstitial cystitis? There is currently no cure for interstitial cystitis and treatments centre around the management of symptoms. No one treatment suits every sufferer and it is usually a case of trying various options until the sufferer finds something which helps them. We suggest that you obtain information from the COB Foundation and from your medical practitioner so that you can make an informed decision on which treatment or therapy to try first. Can you recommend a good consultant in my area for chronic bladder illness? We cannot recommend consultants but suggest where possible, you go along to your local COB group and speak to other members there. Do I qualify for a blue badge or disability benefits with chronic bladder illness? We can support your claim for benefits with a letter from the COB Foundation explaining about chronic bladder illness and the impact it has on a life. The pain tends to be felt as diffuse aching or burning, often described as head to toe. It may be worse at some times than at others. It may also change location, usually becoming more severe in parts of the body that are used most. Fibromyalgia is a common illness. In fact, it is more common than rheumatoid arthritis and can even be more painful. People with mild to moderate cases of fibromyalgia are usually able to live a normal life, given the appropriate treatment. The name fibromyalgia is made up from “fibro” for fibrous tissues such as tendons and ligaments “my” indicating muscles; and “algia” meaning pain. Is fibromyalgia recognised as a disability? One of the most frequent comments we hear from people with fibromyalgia is “The government does not recognise fibromyalgia.” This is not true. We have in writing that the government does recognise fibromyalgia. Fibromyalgia is listed in the book that the Department of Works and Pensions’ doctors use. The description is correct but in our opinion inadequate. Neither fibromyalgia nor any other illness is an open door to any benefit. What matters is how it affects you. It may be that you suffer from another problem as well as fibromyalgia; this should not matter as any judgement should be based on the amount of help required. What the illness is may however have a bearing on deciding for how long you are awarded benefit. In recent times it has become far more difficult to get Disability Living Allowance or for it to be accepted that you cannot work. You may know of people who do not seem to be as disabled as you are, who have been awarded benefits while you are struggling to get anything. This unfortunately is not uncommon. Fibro is a complex condition with a number of other conditions that can occur as symptoms, making it very complicated to treat. Exactly what works for one person may not be the best treatment for another. The most effective treatment for Fibro is often through a multidisciplinary approach, using medications, complementary and supportive therapies, and lifestyle adaptations. It is rare that one approach alone can manage Fibro in the best way possible. It is very important for Fibro patients that they have a doctor that will work with them. There are some doctors who are genuinely interested in Fibro and in helping Fibro patients, so if you have a doctor who is unable or does not want to treat Fibro, then it is worth carrying on looking for a good doctor. Endometriosis (pronounced end – oh – mee – tree – oh – sis) is a condition where the endometrial cells lining the womb migrate to other parts of the body. Each month these cells react in the same way as those in the womb, building up and then breaking down and bleeding. Unlike the cells in the womb that leave the blood as a period, this blood has no way to escape. It is a chronic and debilitating condition that causes painful or heavy periods. It may also lead to infertility, fatigue and bowel and bladder problems. Around 1.5 million women in the UK are currently living with the condition. Endometriosis can affect all women and girls of a childbearing age, regardless of race or ethnicity. Currently, there is no cure for endometriosis. The different treatments available for endometriosis aim to reduce the severity of symptoms and improve the quality of life for a woman living with the condition. Treatment should be decided in partnership between you and your healthcare professional. Your healthcare professional will consider many different factors when working out the best endometriosis treatment method for you, such as your age, the severity of endometriosis you have and the severity of your symptoms. The Endometriosis UK does not recommend any particular treatment for endometriosis, but supports patients seeking treatment options appropriate to their individual circumstances. Lupus can be triggered at puberty, during the menopause, after childbirth, after viral infection, through sunlight, as a result of trauma or after a prolonged course of certain medications. Lupus is often triggered in people where there is family history of lupus and/or other immune system illnesses such as arthritis, MS and rheumatism. No, but it is believed there is a genetic link. A number of illnesses arise from a faulty immune system – two we know well are arthritis and rheumatism. Often a lupus patient has family members with these autoimmune conditions or others such as MS, thyroid problems, diabetes, Reynaud’s, scleroderma, Sjogrens and others. Genes are important but there are other factors involved that we don’t fully understand. Are there lupus blood tests and is diagnosis easy? The range of symptoms in lupus can mislead GPs but there are specific blood tests available. The most useful test is the anti-DNA antibody test. These DNA antibodies are highly specific for lupus. Presence of antibodies against DNA is the hallmark of lupus and rarely found in any other condition. Your medical history gives good indications to lupus specialists, usually rheumatologists. Other specialists who may treat lupus patients include renal experts, obstetricians, dermatologists and cardiologists. On balance, diagnosis is not easy and it would help enormously if family doctors were able to be better informed about lupus. What type of medicines will I be offered for lupus? Lupus is generally treated using anti-malarials (such as Hydroxychloroquine) and non-steroidal anti-inflammatory drugs. Steroids such as Prednisolone have been vital in the improvement in lupus care and in some cases are life-saving. Immunosuppressants are widely used in more severe cases. The most commonly used are Azathioprine, Methotrexate and Cyclophosphamide. Is there a diet recommended for lupus? No, there is no specific diet recommended for people with lupus, however it is generally advised to follow a healthy balanced diet. Marfan syndrome is one of the more common disorders of connective tissue that can affect the eyes, skeleton, lungs, heart and blood vessels, and may be life-threatening. The effects of Marfan syndrome vary between individuals, some people are only mildly affected. Marfan syndrome is a hereditary disorder in 75% of cases whilst being spontaneous in the other 25%. This means that if a parent has Marfan syndrome, there is a 50/50 chance of each child not inheriting the Marfan gene. The Marfan gene was discovered in 1990 and in 1991: a deficiency was found in the glycoprotein, fibrillin. This initiated many research projects and diagnosis has improved because of the results achieved. The Marfan Association http://marfan-association.org.uk has been active in these. People with Marfan syndrome should be treated by a physician familiar with the condition, conversant with its effects on all body systems and able to advise on screening of the family. Genetic counselling should be given. There is no cure for this condition yet, but careful medical and surgical management, together with an appropriate lifestyle, can greatly improve prognosis and lengthen life span. Treatment will vary between patients depending on what aspect of Marfan is a cause of problems to them. Regular monitoring and a sensible life-style are essential. Where can I learn more about the genetic aspect of Marfan syndrome? A list of Genetic Centres is available from the Marfan Office. The exact cause of migraine is not fully understood. It is thought that there is a genetic component. Most researchers think that people who have migraine have a more than usually sensitive or ‘hyper-excitable’ brain, so that they are much more sensitive to stimuli that would not affect someone not prone to migraine. Migraine symptoms are thought to be due to abnormal changes in levels of substances that are naturally produced in the brain. Changes in blood vessels are now thought to be secondary to more important changes in brain chemistry. Experts do know that people with migraines react to a variety of factors and events, called triggers. These triggers can vary from person to person and don’t always lead to migraine. A combination of triggers — not a single thing or event — is more likely to set off an attack. The Migraine Trust finds that a person’s response to triggers also can vary from migraine to migraine. How can I prevent migraine? A good way to reduce migraine attacks is to find out what triggers your attacks and manage exposure to these triggers. Since migraine headaches are more common during times of stress, finding effective ways to cut down on and cope with stress might help. Talk with your doctor about starting a fitness program or taking a class to learn relaxation skills. Talk with your doctor if you need to take your pain relief medicine more than twice a week. Doing so can lead to rebound headaches. If your doctor has prescribed medicine for you to help prevent migraine, take them exactly as prescribed. Ask what you should do if you miss a dose and how long you should take the medicine. Tell your doctor if the amount of medicine you are prescribed is not helping your headaches. Work with your doctor to come up with a plan for managing your migraines. Keeping a list of home treatment methods that have worked for you in the past also can help. This can be particularly difficult if you are at work when this happens. Migraine Action has a ‘Migraine in the Workplace’ booklet on migraine in the workplace for both employers and employees (including information on rights, responsibilities, helpful organisations etc.). Yes. Stress can trigger both migraine and tension-type headache. Anything can actually trigger a migraine e.g. lack of sleep, missing a meal etc. If these are combined with stress then a migraine can be triggered. Making time for yourself and finding ways to deal with stress are important. Some things you can do to help prevent or reduce stress include: being active (at least 30 minutes most days of the week is best), doing relaxation exercises and getting enough sleep. There are no objective tests for migraine. It is diagnosed on the basis of the history, or the pattern of symptoms over time. This is why keeping a migraine diary can be helpful. Your doctor may refer you for tests such as CT or MRI scans to rule out other conditions that may cause similar symptoms. The terms ’muscle disease’, ‘muscular dystrophy’, ‘neuromuscular conditions’ and ‘neuromuscular disorders’ all describe a large group of conditions which affect either the muscles, such as those in the arms and legs or heart and lungs, or the nerves which control the muscles. Different conditions affect different muscles. Most conditions are progressive, causing the muscles to gradually weaken over time. People’s mobility is affected and most conditions lead to some sort of disability. The severity of conditions and how they affect individuals varies greatly from person to person. Muscle disease affects all ages and all ethnic groups. Conditions are often inherited but can also occur out of the blue where there is no family history. For more information on specific conditions, please see our About muscular dystrophy section. What shall we say to other people about our child's muscular dystrophy? Although it can be difficult to talk about your child’s condition at first, most parents find it useful to talk to close friends and family. You will need their support and understanding in the coming years. Be aware that at first, some people may be frightened or upset by the news and may not react in the way you expect. As these conditions are usually genetic, other family members may like to be referred to their local clinical genetics department for advice. They should discuss this with their GP. How will muscular dystrophy affect me? All conditions affect the muscles in some way and most affect a range of different muscles or become more severe as they progress. A number of conditions can affect other types of muscle in the body, for example the heart. Treatment is available for this so you may be advised to have a regular heart check up. Conditions can range from having minimal effect, through to being disabling, or in some cases, shortening length of life. It is essential therefore that those living with a condition have good communication with the team of professionals involved in their care, along with accurate information and appropriate support. Please see our Care and Support section for further details of services which are available to help you. My granny had osteoporosis. Will I get it too? Approximately 80 per cent of our bone health is inherited from our parents. So it would make sense for you to take steps to ensure the best bone health you can have. There are a number of measures which can be taken to influence the remaining 20 per cent of the bone health which is left in our own hands. These steps include a healthy diet, regular weight bearing exercise, cutting down on caffeine and alcohol consumption, and giving up smoking. What is meant by weight bearing exercise? How can I increase my calcium intake? Examples of foods high in calcium include: dairy products (milk, yoghurt, cheese), tofu, leafy green vegetables (spinach, curly kale), dried figs & apricots, breakfast cereals fortified with calcium such as Ready Brek, tinned fish (sardines and anchovies). Find more information on osteoporosis and healthy eating. Pain UK can only provide information, not give advice. The information on this site is not a substitute for a personal consultation with a qualified medical professional. If in doubt, please talk to your doctor.